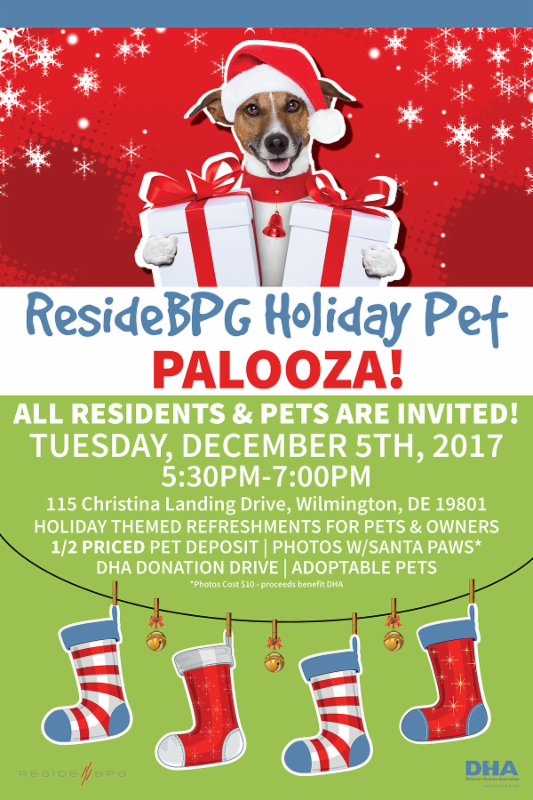 Join us for the ResideBPG Holiday Pet Palooza on December 5! 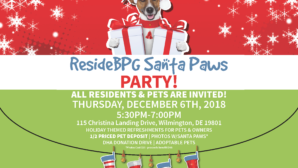 Residents and pets alike are invited to the Residences at Christina Landing on Tuesday, December 5 from 5:30-7:30 PM for our annual ResideBPG Holiday Pet Palooza, in collaboration with the Delaware Humane Association! All are welcome to attend this free holiday celebration, whether you have a furry friend or not. Click here to R.S.V.P. For a full list of the DHA’s wish list, click here. For other ways to help out the Delaware Humane Association, click here. *Valid for 1/2 price usual ResideBPG pet deposit if you adopt an animal from DHA this evening. 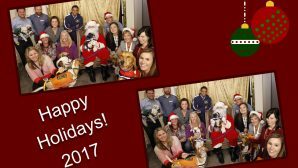 **Photos of your pet with Santa are $10. All proceeds go directly to the Delaware Huane Association.